Of Course! Black Conservatives are Courageous, but… It’s a shame that I’ve taken some heat, as a Black Conservative myself, all for calling myself a Coward, in sense of saying that we can all do more, that I can do more. 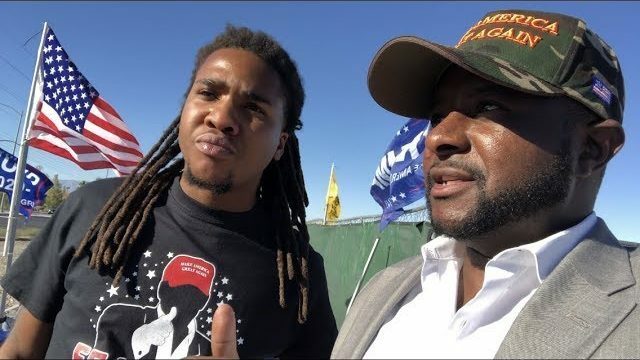 Saying that I myself have been a coward for not engaging more Black Folks with conservatism, Yes we have made so many headwinds, Black Support for Trump has tripled since this movement has started, an much of that support is because of people like Candace, Larry Elder, Diamond, Silk and many other prominent Black Conservatives, but I don’t think there is a person in the world that believes we don’t still have a very high hill to climb. Anyone that questions my heart, my integrity or my convictions for our people and/or for the principles of conservatism please call me, direct message me. An don’t be a coward! Talk to your brothers and sisters, that’s literally all I said.